Many people agree that white is a universal color. 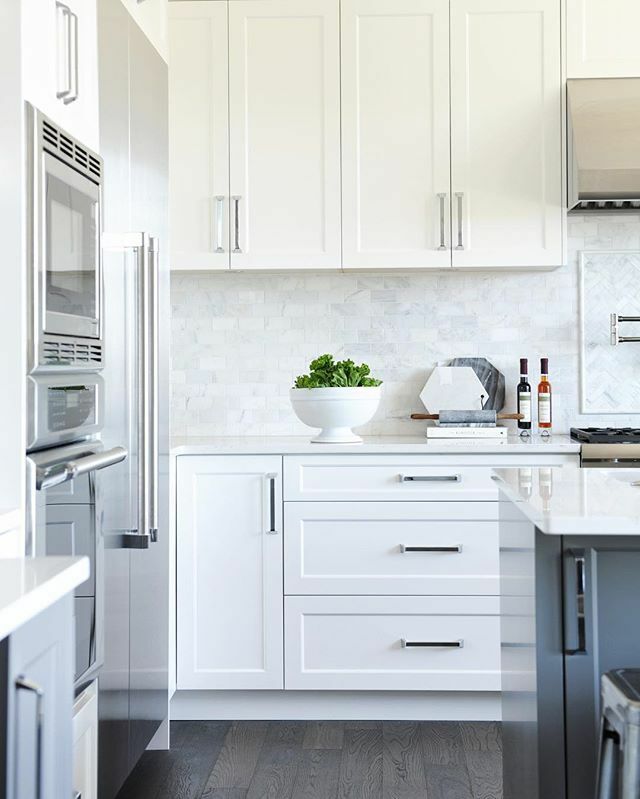 When it comes to kitchen design, white can be applied to almost every theme, from traditional to modern trim, from rustic countryside to classic city style. 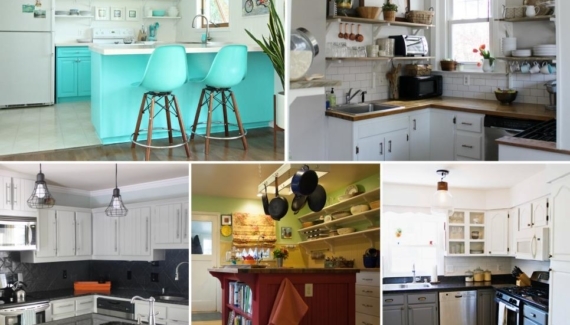 While deciding which style will suit your kitchen best, it is not less important to choose complementary furniture that will match your white kitchen designs. 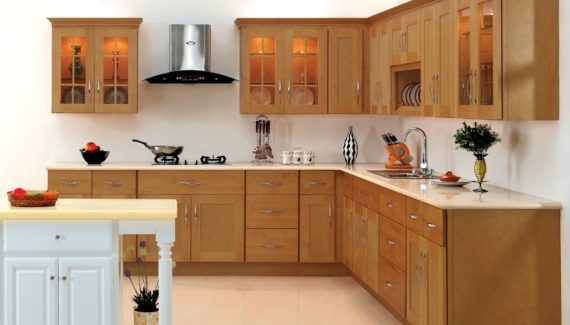 As a highly visible feature in your kitchen, the cabinetry should be able to blend with the theme you raise. 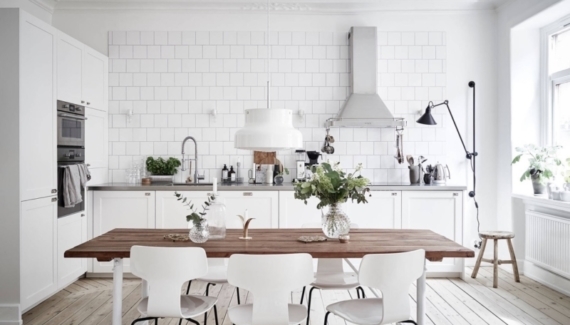 If you go with antique style, white-polished cabinets are the best option. For an elegant look, choose leaded-glass cabinetry which can show the collection of your cutleries. You can also accentuate the white cabinets to make this furniture look more attractive. Consider several options such as wire-mesh fronts, accented frame, and metal diamond-patterns, to adorn your plain cabinetry. 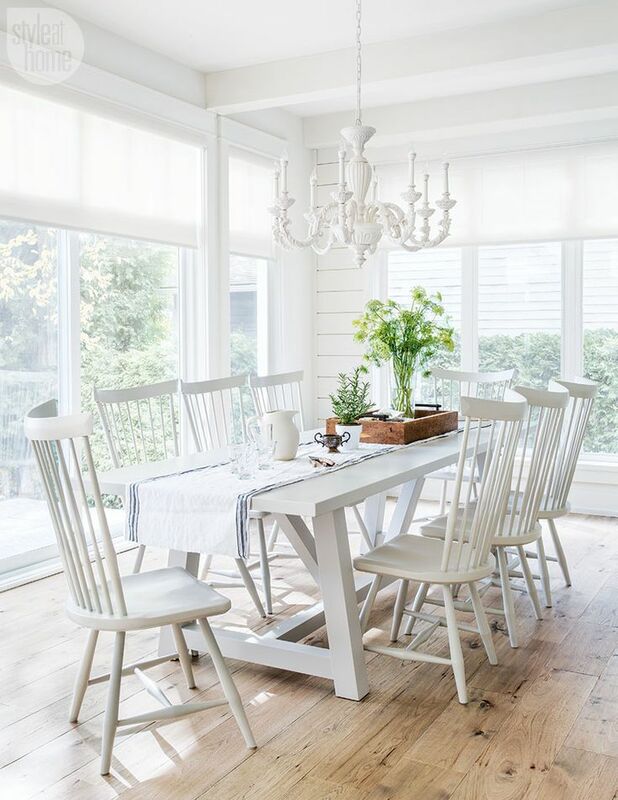 White, along with several other light colors, is a good shade for both countertops and dining table, and it can be even better when you choose the right color combination. 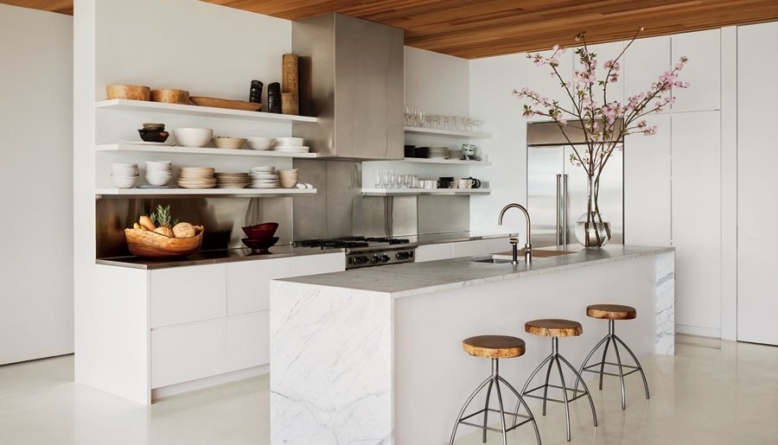 Whether it is made of high-quality wood or marble stones, you can create a stylish look which goes well with your white kitchen designs by combining white with bold colors such as black or brown. Besides cabinets, backsplash is another feature that should steal people’s attention when they come into your kitchen. Therefore, you need to choose a certain style of backsplash that match your white cabinets in term of material or color combination. 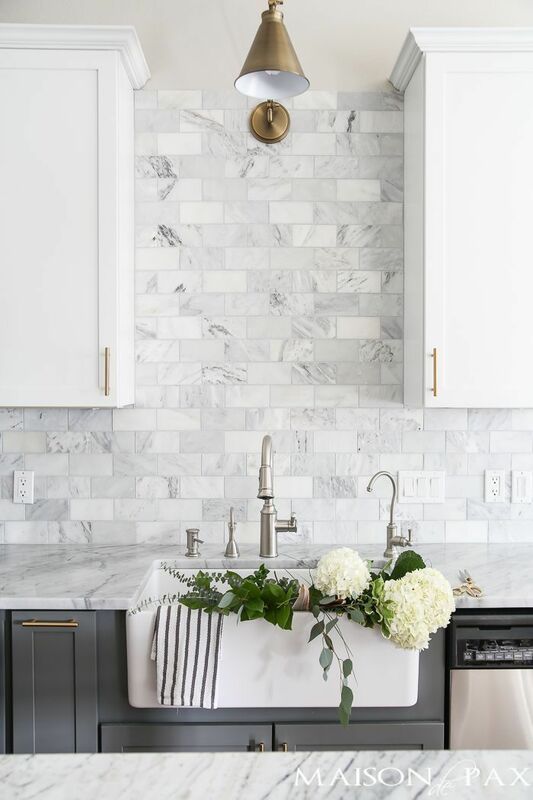 If you want to create a distinctive feature in kitchen arrangement, go with accented white marble tiles that combine two neutral colors, such as white and gray or white and cream. Those colors can be mixed in various patterns, including the geometric or abstract pattern. However, it is important to note that when choosing the right backsplash, you need to consider cleanliness and maintenance on top of its beauty point.